I did not say I wouldn't post any more pictures. 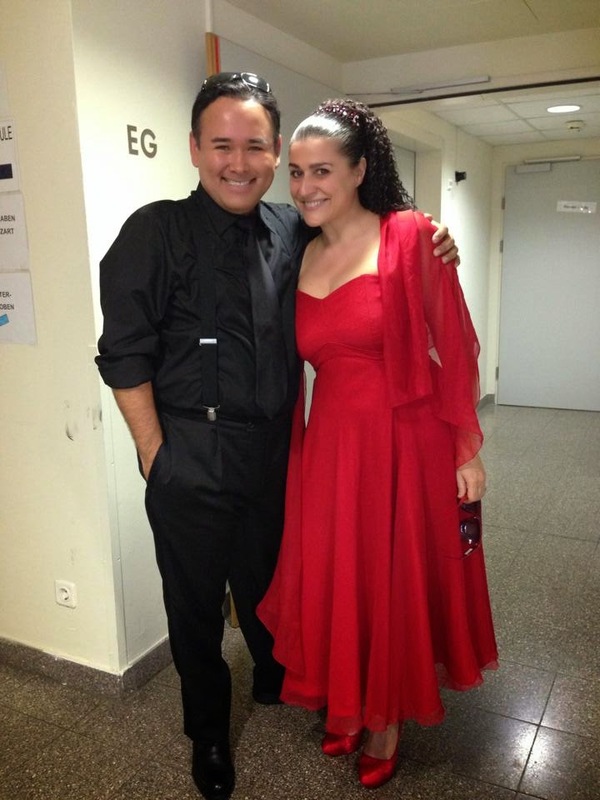 She (Cecilia Bartoli) is in costume, and maybe he (Javier Camarena) is too. Toi toi toi. Or maybe not. It's a rehearsal. You can't tell anymore. 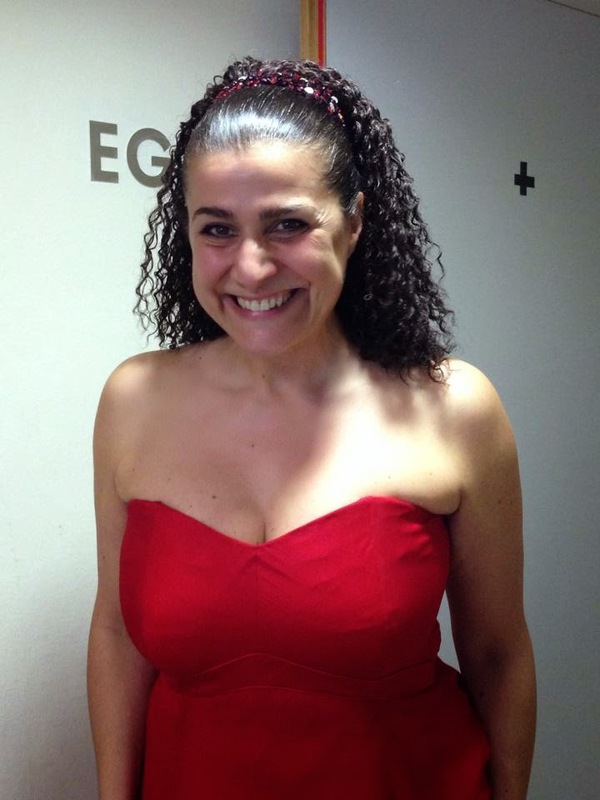 I want to express my joy in the continuing glory of Cecilia Bartoli's fabulous career. She is in my heart even when I stay home. There is an article in the New York Times today about the soon to begin Whitsun Festival and her management of it. This article says she would like to sing opera in American again. We are keeping our fingers crossed. P.S. I think every currently active Rossini singer in the world is performing. 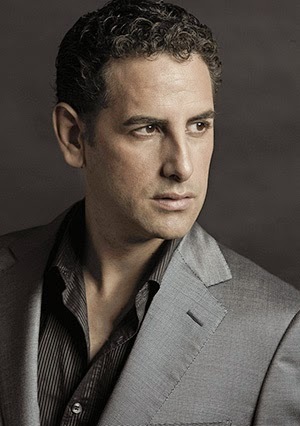 Tenors alone included Juan Diego Florez, John Osborn, Javier Camarena, Edgardo Rocha, Barry Banks and Lawrence Brownlee. And didn't I see José Carreras? Also Cecilia Bartoli, Vesselina Kasarova, Joyce DiDonato, Carlos Chausson, Alessandro Corbelli, Massimo Cavalletti, Franco Fagioli, Michele Pertusi, Ruggero Raimondi, Erwin Schrott and I'm sure a lot more. La Cenerentola with Joyce DiDonato first. I am putting La Cenerentola at the top of my list because of a lack of technical glitches in the broadcast. It was an ensemble performance of the very highest quality, achieving the intentions of Rossini both musically and dramatically. There was a feeling of self-confidence that included the entire cast. Congratulations to all. Werther comes in a close second mainly because of the pantomime at the end. I saw the repeat which was incredible, but if your experience was of the live transmission, you would be unhappy. It still didn't top Paris. In particular I preferred Tezier as Albert. The guy in the soldier's outfit just seemed like a thug. 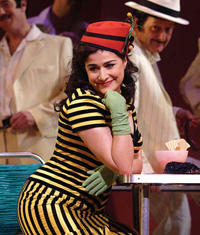 Oropesa is the best Sophie, though. Falstaff is in third place. I'm putting Falstaff in third place for the sheer perfection of the casting and performance. I also very much enjoyed the production which remembered that Falstaff is upper class. 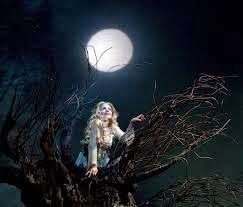 Those of us who have loved Renée Fleming's Rusalka over the years are grateful that this production and performance will become a memento of the occasion with a fine cast and traditional production. 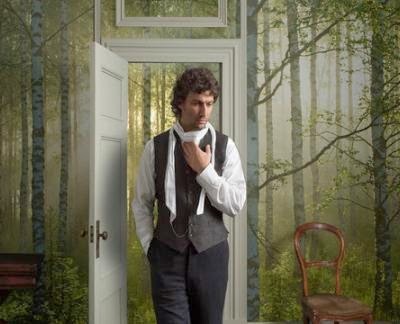 Netrebko's Eugene Onegin is fifth. I was hoping this would better. I'd like to see her with Dmitri. Prince Igor didn't really work for me. The plot is simply incoherent. It can go back to being an orchestral piece. But the rest is kind of in between, not sufficiently differentiated to be ranked. The Nose was done as well as it could be. I was feeling a bit jaded for Tosca, La Bohème and Cosi fan tutte. If I slighted one of your favorites, I apologize. Perhaps I get annoyed by different things. I admit that it is completely unacceptable to substitute name calling for actual criticism, but the things that annoy me are far more likely to be ignorance. One of the opera writers insists on referring to Octavian as a page boy. Now perhaps we are experiencing cultural differences, but in my vocabulary a page boy is either a hair cut or a young household servant. If Octavian is just one of the Marschallin's servants, then why are they worrying about the Feldmarschall catching them together? Why wouldn't he just slip back into his working clothes and start acting obsequious? Octavian is a count, a member of Austrian royalty and appears in the book that catalogs them. That's why Sophie knows his age and all his baptismal names. It's why the public shouts his name "Rofrano" when he appears in the street in full regalia in front of Faninal's house. He is a publicly known figure who met the Marschallin while she was riding in her carriage in the Prater. Turning this character into a household servant is just plain stupid. It makes nonsense of the entire rest of the story. Are we to believe that Sophie has thrown over a Baron for a household servant and that Faninal will be placated about this by any amount of rides with the Marschallin in her carriage? If you go into public life such as opera singing, you have to expect people to make stupid remarks about you, but complete ignorance by a professional writer of the topic one is purportedly writing about is unforgivable. Slipped Disc has produced an excellent summary of the Taragate scandal. He thinks it's over now. We'll see. 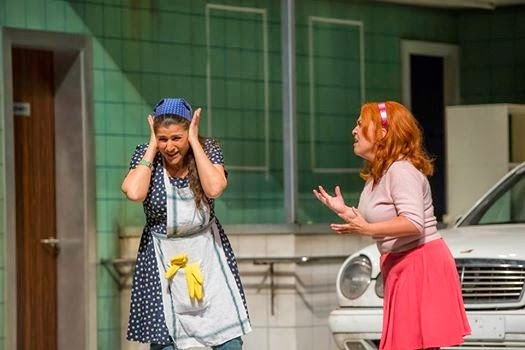 There is currently a row going on in the opera world, dubbed Taragate, about the attacks by male critics on Tara Erraught currently cast as Octavian at Glyndebourne. See Opera Fresh, Telegraph, Elle, Telegraphagain, etc. It's all over Twitter, too. It live streams on June 8 if you want to make up your own mind. Glyndebourne responds: "Tara Erraught is an outstandingly talented artist whom we are thrilled to have as part of the cast of Der Rosenkavalier." Should I feel guilty about this? 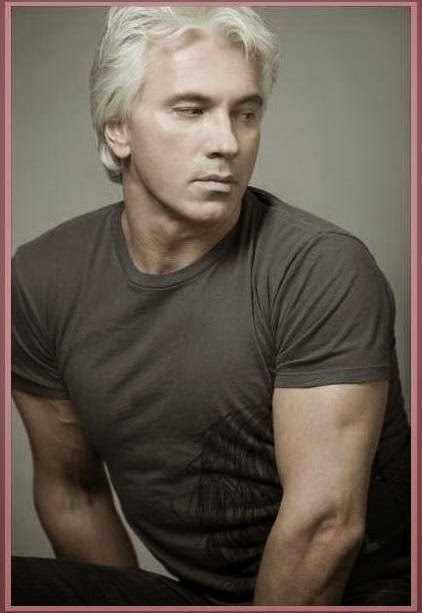 After all, I have posted a sexiest opera singers list every year since the beginning of this blog. I even complained about Anna Netrebko post baby, something that I have reconsidered. I am used to the way she looks now and still think she is gorgeous. In the case of the Glyndebourne incident, I still insist that the designer of a production can make his performers look any way he wants. If you don't like the way Ms. Erraught looks, you should complain about the production. These people who sing Octavian are women. That is part of the fun. If you successfully completely disguise that fact, isn't that a mistake? If you don't like cross-dressing, stop going to Rosenkavalier or any of the other operas where this goes on. See extensive discussion of cross-dressing elsewhere in this blog. I know of at least two young singers who do long distance running to keep their weight down. Whoever you are, you have seen at least one of them and will probably soon see the other one. To Tara herself I would like to remind her there is no bad publicity. 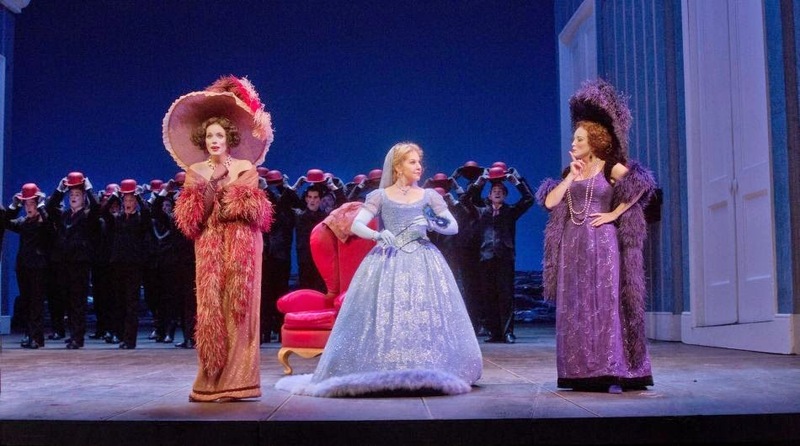 Tara is singing La Cenerentola next season at the Washington National Opera. FYI: Dame Kiri agrees with me. She exceeded my expectations. Which were pretty damned high. I watched the first act of a production of Der Rosenkavalier stream on sonostream.tv from Malmö, Sweden. The first act is the only part that is truly wonderful, plus the trio at the end, of course. It was done as though it were a clown troop. The only pieces of furniture in the room were the bed and the little cart with the chocolate, so all those people that come in during the scene had to sit on the bed with the usual bed activities. The costumes all had polka dots, like clowns. I didn't notice big shoes, but I did notice polka dots on people's faces. They needed a public opinion character like in Orpheus in the Underworld to disapprove of everything. The singing wasn't good enough to compensate for this. Which led to the question could it be? This led to the question could you modify the setting too radically at all? I am remembering the DVD with Stemme and Kasarova, a duo who could actually compensate with fabulous singing. But would a rich middle-class gentleman invite a Baron into his kitchen? 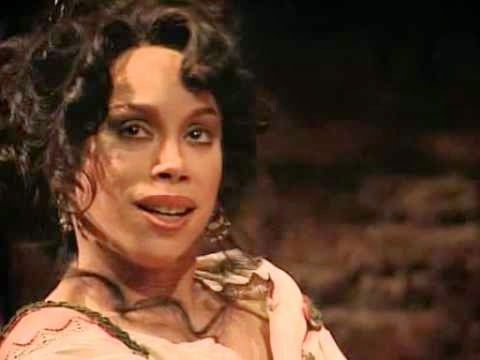 Remember Mimi in La Boheme must die on a certain chord or the scene makes no sense. You should also recall that Richard Strauss's earliest compositions were tone poems with stories. He bragged that he could compose the knives and forks. And so he could. What you are seeing and what you are hearing go together. For instance, Mohammet's music describes how he moves about the stage. Can a full grown man do this? A ballet dancer, perhaps, which isn't at all what we got. The plot cannot be moved from the period when women were traded like cattle. When Sophie asks her father to let her out of the marriage, he refuses. The whole rest of the story is Octavian proving that Ochs is unworthy, so daddy will not insist Sophie marry him. 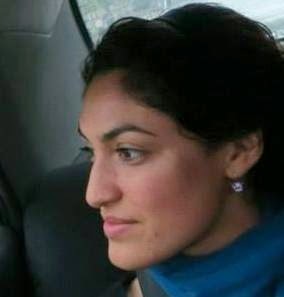 If the plight of women is just a joke, then what's the point? I immediately began to fantasize an Iranian Rosenkavalier with burkas since that part of the world still enslaves women. But there might be bombs, so let's forget that. Unrelated comment. If you watch enough opera in closeup, eventually you will notice that in the bows the singers often look at the prompter. What's important here is that during the performance, you didn't notice them looking at him. 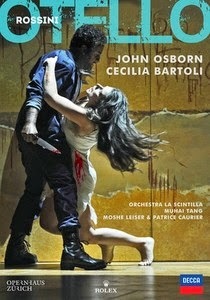 This DVD of Rossini's Otello (1816) from the Zurich Opera records the same series of performances I reviewed here from a live stream on medici.tv. The plot of this opera is not the same as Shakespeare or Verdi. It is clearly an opera seria but shows none of the traditional traits. Twelve years before La Muette de Portici changed opera forever, the two main characters die. This was unheard of. My researches tell me that this opera was provided with an alternate happy ending, but we in the English speaking world would be outraged. There are four scenes. All of the action takes place in Venice rather than Cyprus. In the Doge's palace Otello is presented to the Doge as the hero of a recent battle where he recovers Cyprus for Venice. 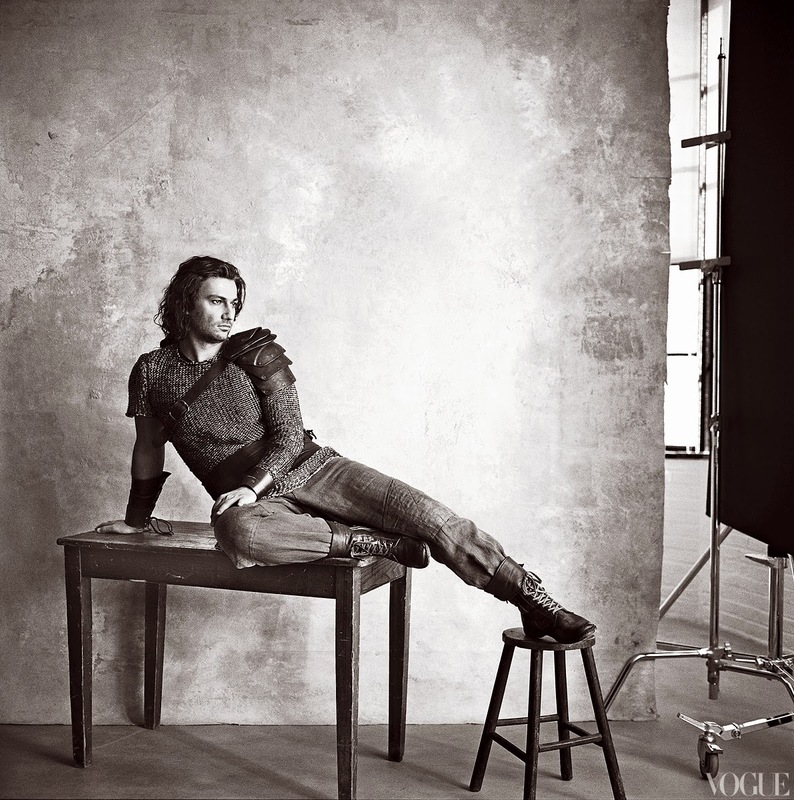 He has already married Desdemona, but this is a secret. Desdemona's father Elmiro has a candidate to marry her in Rodrigo. Otello announces that he and Desdemona are already pledged to one another, enraging Elmiro. In this version Desdemona contributes however innocently to her own doom. She writes a letter to Otello and encloses a lock of her own hair, but the letter falls into her father's hands. In order to prevent an argument with Elmiro she tells him the letter is intended for Rodrigo. Jago tells this version to Otello who believes him. We are in Desdemona's room in the palazzo. She tells Rodrigo she is Otello's wife. We are in Otello's hangout, a dump with a pool table and refrigerator. Not only is Otello black, but he is not from Desdemona's social class either. There are simply too many things against him, hero or not. There are small issues of continuity in this scene but they shouldn't distract from the incredible singing. Jago stirs the pot. The ever hovering Emilia is there to save the situation. Desdemona has a mad scene here and pours beer over her head. P.S. I now interpret this as defiance of her father who has come to take her home. We are in Desdemona's room in the palazzo. She writes "Nessun maggior dolore che ricordarsi del tempo felice" ["Nothing is Sadder than the Memory of Happiness."] on the wall. She sings a very beautiful rendition of the willow song. She kisses Emilia because she knows she's doomed. When Otello arrives, she is angry and defiant with him, very different from Verdi. Otello kills her then himself. John Osborn as Otello is in black-face. Since race is the whole point of the story, this seems right. Black-face is a comic minstrel tradition only in the United States, so criticizing a French/Swiss production for doing it would seem pretty silly. It is shocking how much Otello hates Desdemona. Cecilia is taking on heavier repertoire these days, and Otello seems on the heavy end of her abilities but still well within her grasp. She is very intense here. Someone asked me about her the other day. She was everywhere for a while and then suddenly she was gone. I explained that her Columbia Artists Management manager moved back to Europe and she along with him. I followed her there, at least in spirit, but for most Americans she ceased to exist. This is an outstanding sample of her work now, her emotional intensity turned to serious drama. This is bel canto at its most serious extreme. For people who hate regie it won't work, but I'm not one of them. Perhaps you aren't either. Love it along with me. This series of Rossini's La Cenerentola at the Metropolitan Opera was a first go for Fabio Luisi, and I must say he was fantastic. His tempos were great. His ability to follow the singers was incredible. Every note was secure, joyful and invigorating. Someone mentioned in the interviews how nice it was to look down into the pit and see his smiling face. All of these great singing actors were in form. I didn't even mind Don Magnifico played by the great Alessandro Corbelli. He explains that he never plays anything for laughs, and in this performance only the sisters and Dandini seemed to be deliberately aiming for silliness. Joyce, Juan Diego, Luca, Pietro, all were fabulous. The entire performance was filled with love and joy. 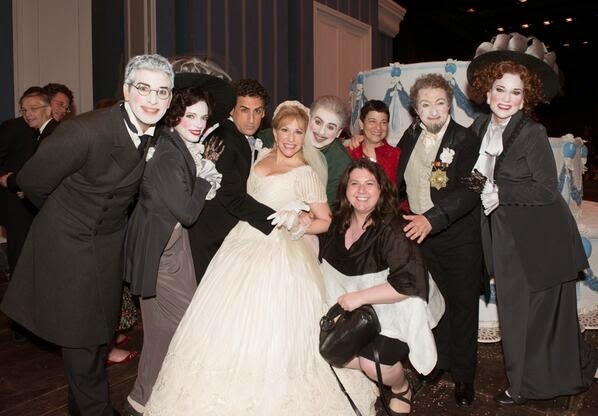 It was a truly great La Cenerentola. I apologize to my fellow viewers for conducting and humming along throughout most of this. It is still the opera I have listened to most, and apparently I know every note. I had only rudimentary contact with classical music before I began majoring in it in college. My education consisted largely of complete immersion in the style and repertoire of J.S. Bach. My freshman theory book was by a man named McHose and consisted of statistical summaries of how chords progressed in the harmonized chorales of Bach. "58% of the time a II chord proceeds to a V chord." This sentence is completely made up, but you get the idea. Picture hordes of graduate students counting these. We learned to play chorales on the piano. And we sang Bach. As an undergraduate I performed solos from the Matthew Passion, the B Minor Mass, the Christmas Oratorio and various cantatas. My idea of the Baroque is Bach. When I studied history later, I realized that the contrapuntal technique of Bach came from the Renaissance, or what became known in the Baroque as the prima pratica. The counterpoint of the Renaissance continued on throughout the Baroque, while the seconda pratica grew up simultaneously. The prima pratica came from the Netherlands (Josquin and Lasso) while the seconda pratica (Caccini and Monteverdi) came from Italy. Bach wrote in all the forms of his era and achieved his own dense and complicated amalgamation of the two Baroque styles. Once at the beginning of this blog I wrote about the missing classic Italian composers. In my education they were lists of names. Now one of these names, Agostino Steffani, appears in Cecilia Bartoli's project to revive him. Steffani is a middle Baroque Italian completely immersed in the seconda pratica. This consists of a radical thinning of the texture, generally to bass and melody but seldom exceeding two upper voices over a bass line and chords. Bach and Steffani are different worlds, but with his trio sonata-like texture of two counterpointing upper voices Steffani may be closer to the Baroque ideal. There are no fugues. My brain expects choral music to include fugues. There are hints of counterpoint in the choral sections, but nothing as complex as a fugue. He seems to understand well the emotional requirements of his music. The religious music is very somber. I am having difficulties adjusting my expectations. It is important to realize that a criticism of this style is a criticism of the Italian middle Baroque, a style until recently we have known virtually nothing about. I think it is best to silence the din of expectation, to relax and enjoy it. In fact, the entire process of learning to love something new begins with calming the din of expectation. In this uncritical state of mind it relates less backward to the Renaissance than forward to the Rococo. For the Italians expression of the text is paramount. I would imagine that he has been ignored all these years because it has been German musicologists who decided who would be emphasized from the composers of the past. They prefer a high level of complexity. They, too, have been strongly influenced by Bach. I hear Italian sweetness and ornate style in Steffani, all of it a pleasure to hear. For the people of the time they preferred Italian sweetness and virtuosity to German intellect. Italian music swept the world, and at long last we are getting to hear it for ourselves. The singers on the Stabat Mater album are Nuria Rial (Soprano), Cecilia Bartoli (Mezzo), Daniel Behle (Tenor), Franco Fagioli (Countertenor), Julian Prégardian (Tenor), Salvo Vitale (Bass). The one that sounds like a particularly assertive Bartoli is Fagioli. The singers are not identified by category on the album. When Bartoli is singing, we hear her always present charm. The interpretation of this work is unusually respectful and circumspect. Solo or duet with bass is his preferred texture. Music on catholic texts tends to fall into two categories: the performance types which are primarily theatrical in nature (B-minor mass, Missa Solemnis, Verdi requiem, etc.) and works of a serious religious nature intended to enhance worship. This is one of the latter category. It is not difficult to imagine this as part of an actual religious service. However, apparently this is the work that Steffani wrote as a gift for the Academy of Ancient Music in London. I have put off writing this because this is tough. I am used to the wild and theatrical Henry Purcell whose music cannot be distinguished by its intended use. Steffani doesn't seem like any musician I know which isn't a basis for criticism. It's a beautiful and deeply spiritual album. 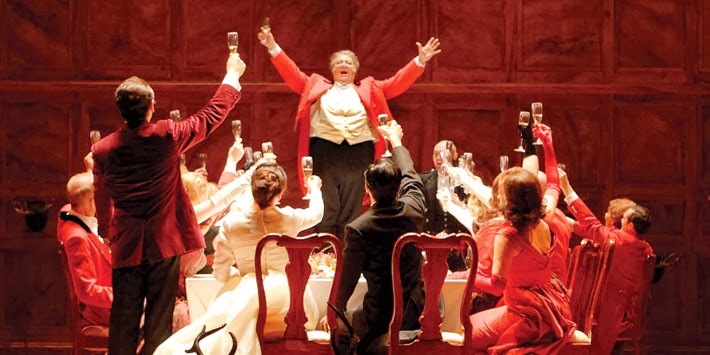 With the Metropolitan Opera season now closed Broadway World has called this the Year of the Tenor. Here is their list. How can you argue? 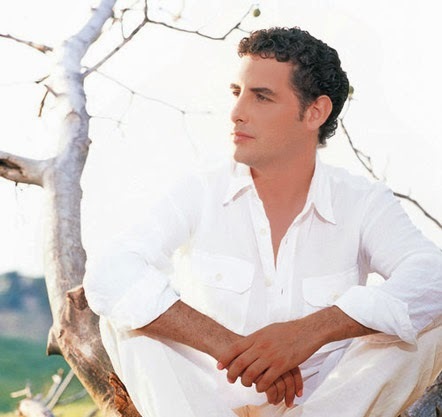 Juan Diego Florez. 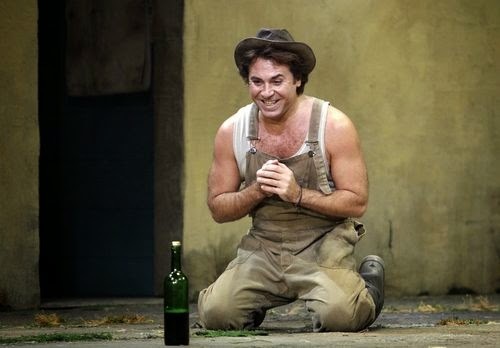 The Met's first "King of the High Cs" since Pavarotti, Florez is an utterly winning and boyish performer, whether in LA FILLE DU REGIMENT, LE COMTE ORY or DON PASQUALE. His high notes were wonderful in LA CENERENTOLA, though one wonders what lots of RIGOLETTOs will wreak on them, as he moves away from bel canto. Piotr Beczala. 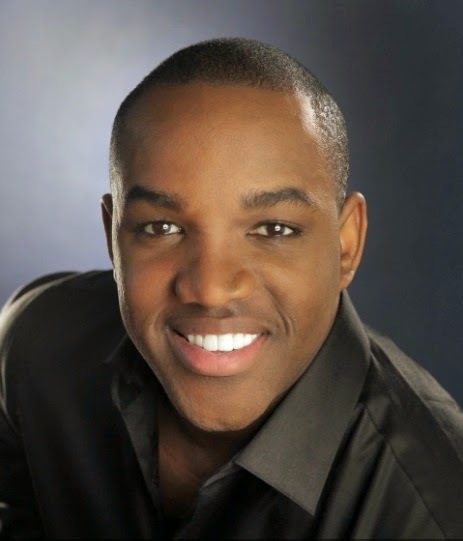 He thrilled as the Duke in the Met's "Ratpack" RIGOLETTO, Lenski in EUGENE ONEGIN and RUSALKA's fickle Prince. 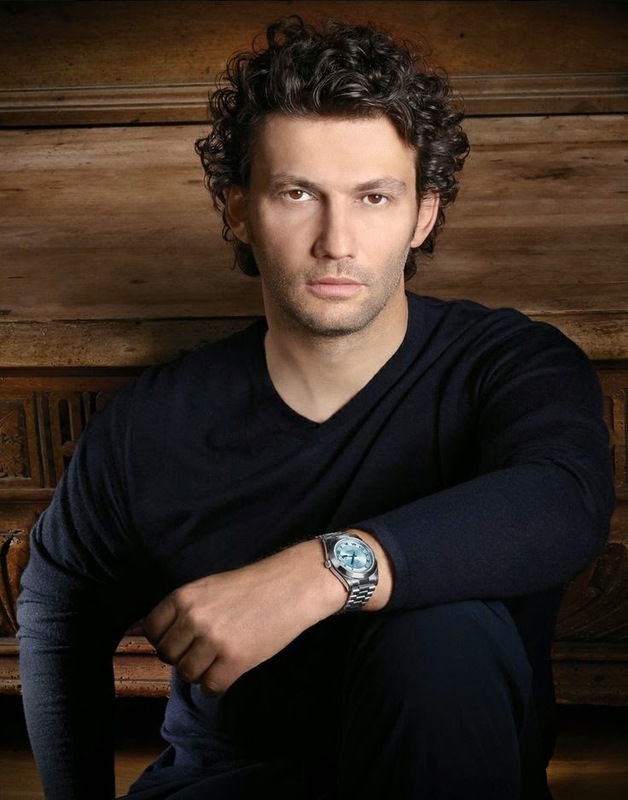 A cautious artist, he's moving into heavier roles, with UN BALLO IN MASCHERA next season, as well as IOLANTA with Netrebko. Lawrence Brownlee. Brownlee was an audience favorite in I PURITANI and the opera's high F held no fear for him. Yet he seems a little placid when more ardor would do better. Still, the notes were there and that means a great deal. Javier Camarena. 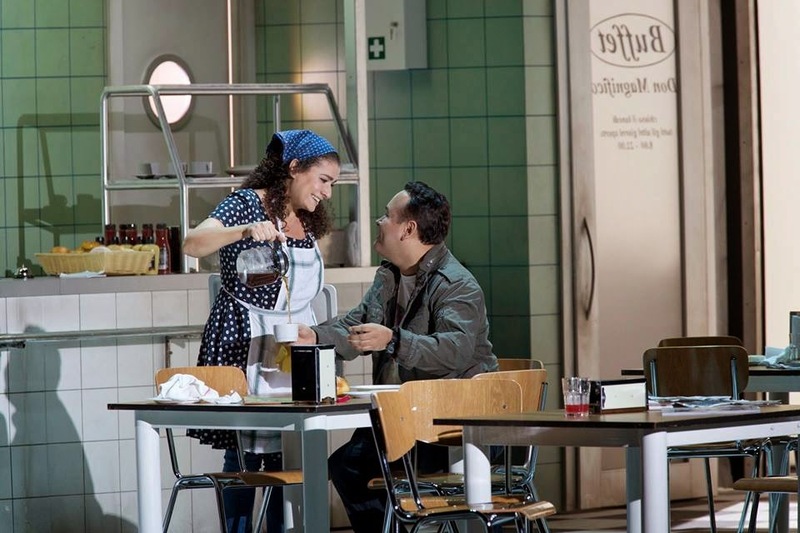 Tenor Camarena had a great spring at the Met, as Elvino in Bellini's LA SONNAMBULA then stepping in for Florez in the first three performances of Rossini's LA CENERENTOLA. It took the Met way too long to bring him back after his notable debut in IL BARBIERE DI SIVIGLIA--let's see what they come up with as a follow up (and sooner rather than later, SVP). Dr. B: These are the guys, all fabulous artists. There can never be too much tenor. As almost an afterthought they add Matthew Polenzani, Roberto Alagna, Vittorio Grigolo, Michael Fabiano, Stephen Costello, Yonghoon Lee. They put in David Daniels, but we know he is a countertenor and doesn't count. We might add Bryan Hymel. 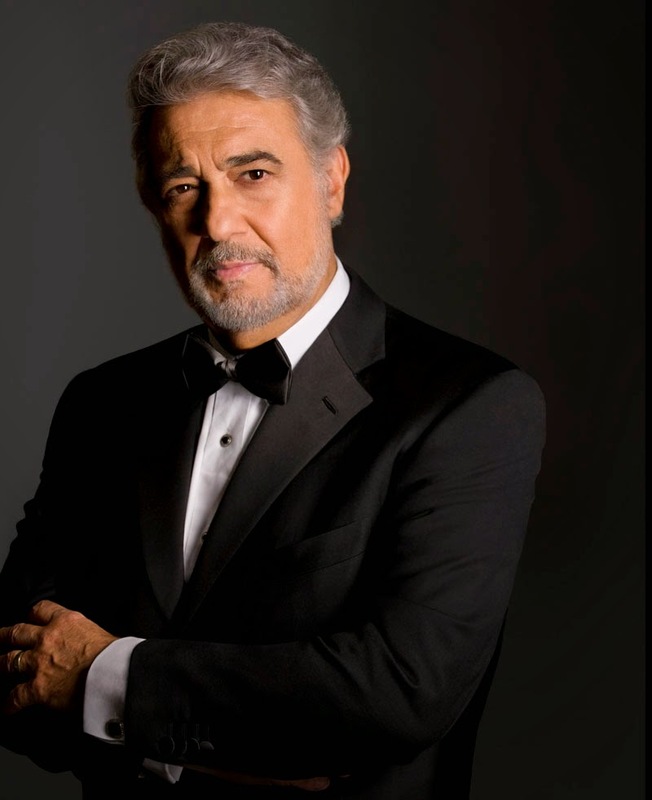 Since my first sexiest opera singers post in 2005, I notice that certain singers continue to make the list. I have decided to honor my top ten with entry into my very own Sexiest Hall of Fame. Their names are listed alphabetically by first name, and the list is balanced half men, half women. In future we will try to concentrate on the younger singers with no intention to slight any of these top ten. I wanted to be sure to use new pictures for everyone with no repeats from previous posts. Only CB has a repeat photo. I just like it. Remember, to be included in any of my lists the singer must perform to world class standards. 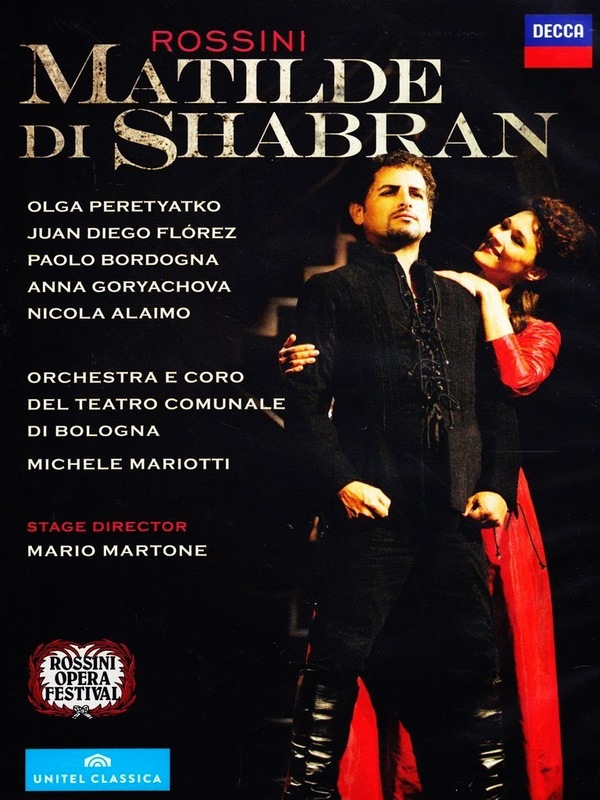 I'm not sure why I decided to buy this DVD of Rossini's Matilde di Shabran, but it turned out to be a great idea. It's called an opera semiseria or melodramma giocoso which means it is somewhere between seria and buffa. It also uses a new kind of love plot--love as a weapon of women's power. 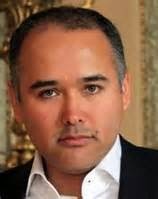 We have Corradino, a tenor who hates women and believes only in the warlike qualities of men. We have Matilde, an orphan assigned to the care of Corradino who believes very much in her own sexual power over men. We have Edoardo, a prisoner of Corradino and his rival. We have the almost buffo bass Isodoro who appoints himself court poet. We have Contessa d'Arco who has been promised to marry Corradino in a treaty. Florez and Peretyatko are very well matched vocally and theatrically, which is to say they are both magnificent. We can easily believe in the raging hero and the beautiful triumphing soprano. They meet and he immediately falls in love. It wouldn't make an opera if he didn't. 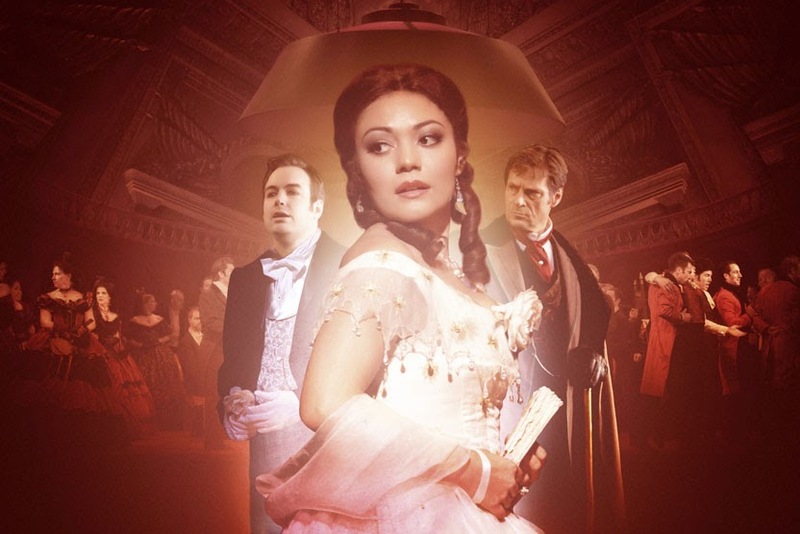 All the other characters are also well cast.The music is very much reminiscent at times of Rossini's buffo works, but when the story gets serious, he becomes a bit more original. There is a period of extended storminess, but in the end female charms triumph over everything. The singing is outstanding. The production is traditional and formal. 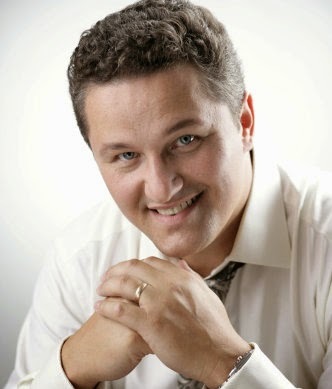 It has a large and very spectacular role for coloratura tenor. The relatively minor part of Edoardo has lots of spectacular singing as well. Matilde says at the end, "If you want me, you must open your heart to goodness." That Rossini is quite a guy. At the premier in Rome a riot follow the performance. I'm always on the lookout for the great performance, here of Tchaikovsky's "Nur wer die Sehnsucht kennt" with the original Goethe poem. 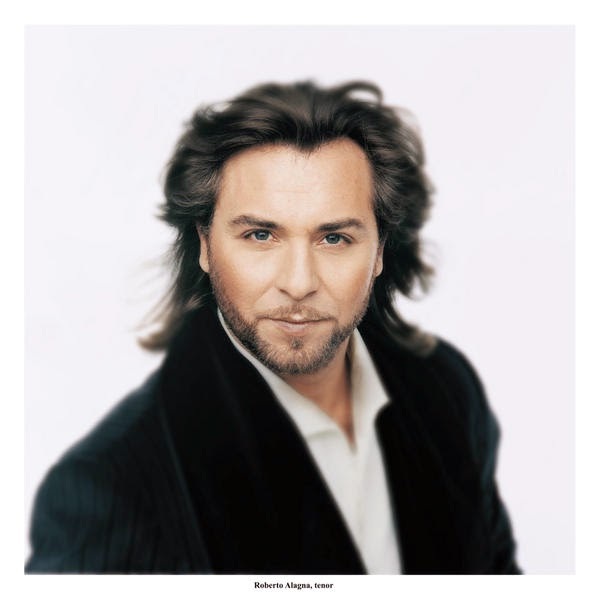 The Christa Ludwig version has gone now, so I replaced it with this one of Schwarzkopf. Ludwig is back. It's the sort of piece that can be encored: spectacular and short. How can you not love the opera? The New York Times headline by Zachary Woolfe today reads "Three Stars Who Navigate on the High C's." 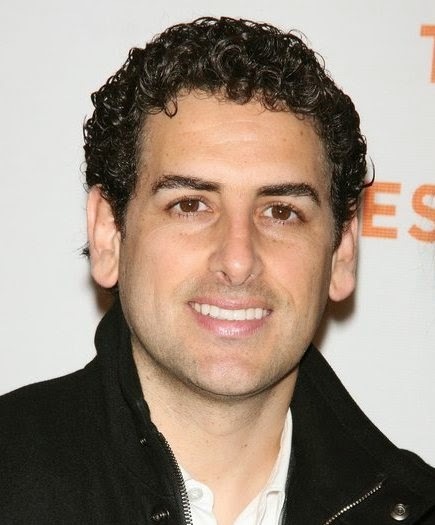 These new three tenors are Javier Camarena, Lawrence Brownlee and Juan Diego Florez. They are all on the bel canto end of the tenor spectrum and all fantastic singers. My favorite quote from the article is when Marilyn Horne says "I'm delighted because we need good singing. There's all this talk that the Met is not selling enough tickets, but apparently when the review of 'Cenerentola' came out, about Camarena, the next performance was packed. What is that saying? We want voices. That's why people want to go to the opera." I couldn't agree more. Opera companies--pitch your singers and then pitch them again. Tell us how wonderful they are, and then tell us again. I don't care how much money you spent on new productions, it's the singers we want. All three of these guys are very familiar to me with Camarena the newest addition. But he isn't all that new since I have seen him in Cecilia's Rossini Otello and Natalie's Paris Sonnambula. Offenbach's Orpheus in the Underworld was presented last night at my alma mater Sacramento State. They made up their own dialog to downplay the hell as brothel aspect of the story. It was lots of fun. Fun things were Robin Fisher as Cupid. She was by far the silliest person on the stage. She is also the silliest person in the above photo. The Euridice and the fly duet with Vanessa Martucci and Donn Bradley as Euridice and Jupiter who has been turned into a fly was a highlight. Cupid is always ready to assist. Here are Natalie Dessay and Laurent Naouri singing this. There is an insider joke in this work. At the logical place in the plot, or as logical as it gets, "Che faro senza Euridice," the hit tune from the Gluck opera is heard. My friend and I were probably the only ones who noticed this. I only decided to post about this because of Vanessa Martucci who sang Euridice. This is my first time to see her since April of 2011 when she sang Adele in Fledermaus. I liked her then and I like her now. Elise Savoy, Matt Hidalgo, Anthony Tavianini, and Kyle Sullivan are all worthy of mention. Thanks to Omari Tau, the producer of this extravaganza. 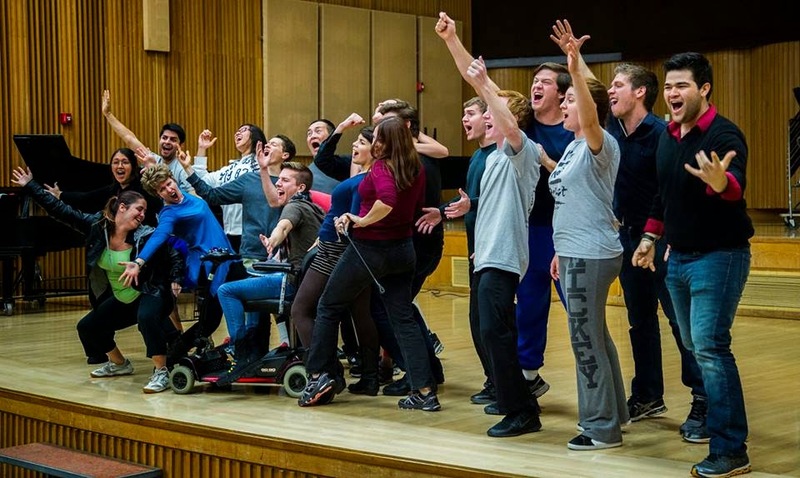 Offenbach is an excellent choice for student singers. Love this guy. Too bad we won't see him. This is a film of Javier Camarena's encore at the Met. Education: "bis" is what you shout in Italian if you want an encore. In Italy an encore is the same piece played again.